The difference between being a cocktail enthusiast and a sad drunk really is based on the company you keep, or that you keep company at all. Being as social as we are, Katruska and I love to share our gift (addiction) with our friends. Which means original cocktail creations make great gifts, especially when shared with good company. At a recent cast party, we shared two drinks we concocted specifically for the show. The cast was thrilled and even received nice little recipe cards so they could enjoy the drinks again and again. 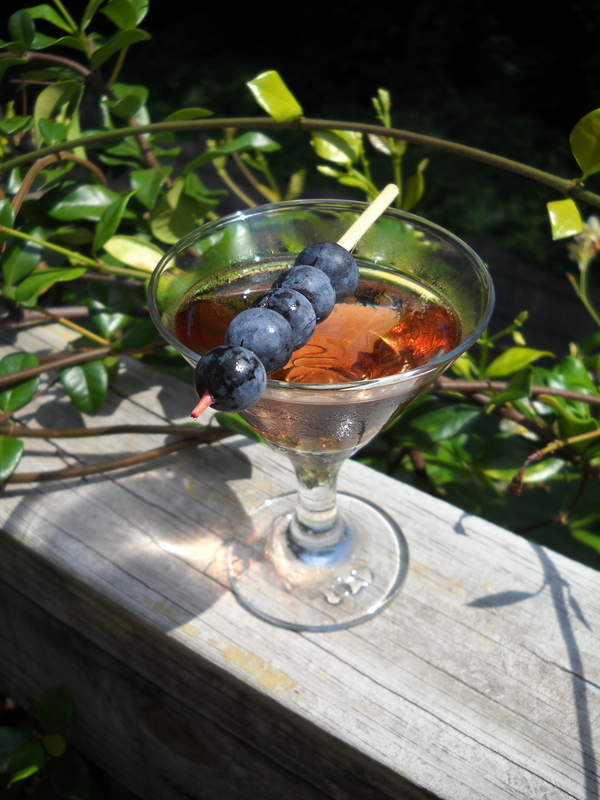 Katruska was inspired by the Vodka Stinger referenced in one of the show’s pivotal moments and created the delight below. Her rendition of this classic cocktail is a more refined take with flavors of raspberry, chocolate, and a touch of mint. It’s the perfect pick-me-up when lunching with the ladies and choosing a hat. Besides, who REALLY needs solid food? Combine first four ingredients in a cocktail shaker with plenty of ice. Stir until cold and strain into a chilled cocktail glass. Skewer the berries and place across the glass. 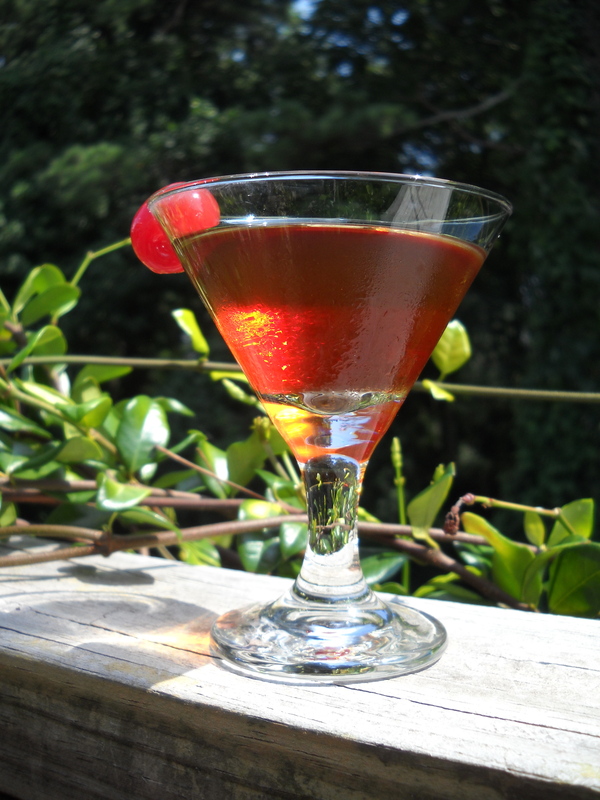 The counterpoint to Katruska’s elegant concoction was my earthy take on a Manhattan with inspiration drawn from the character Harry’s obsession with bourbon. What says New York, sophistication, and a just a touch of the “booze hound” like this warm amber nectar of the gods? While Harry loves these in a “to-go” cup traveling about the highways of California, you should enjoy them in the safety of your home.